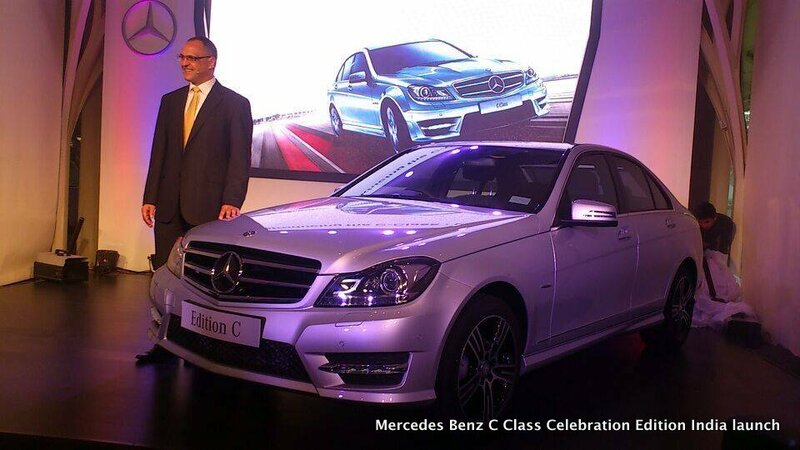 Mercedes has launched C class celebration Edition in India at Rs 39.16 lakhs (Ex Showroom Delhi). The Celebration Edition is launched only in C220 CDI. It is powered by a 2.2 litre diesel engine which delivers 170Bhp and 400Nm of torque. 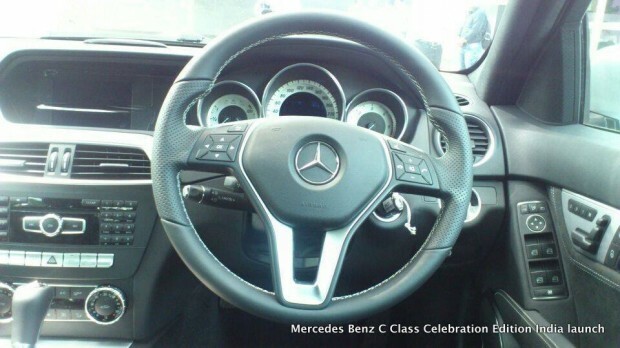 The C class celebration Edition comes with many features like AMG body style, navigation, fully integrated into the infotainment system, electric sunroof, dark tinted headlamps, sports seats, interior light package including ambient lighting, radiator grill with ventrally positioned star, 17″ black high-sheen finish two-tone five-spoke light alloy wheels and luxury multi-function steering wheel. It also comes with a standard ECO start / stop option. It accelerate from 0-100kmph in just 8.1 seconds, and has a top speed of 231kmph. It will be competing with the cars like BMW 3 series and Volkswagen Passat.